Creation of new, visually oriented guides to the procedures, policies and regulations used globally by the UNDP. The guides can be used online or downloaded and used both in digital and print form. These visual guides give participants an overview-at-a-glance of complex projects, making it easier for them to collaborate. 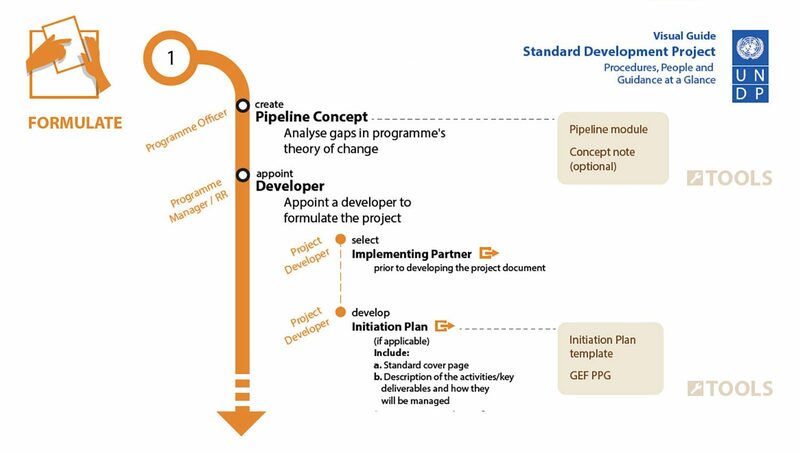 The guides are part of a large-scale initiative to streamline the UNDP's documentation. The guides have proven themselves during the first year of use in multiple projects and settings. Additional guides are now in development. 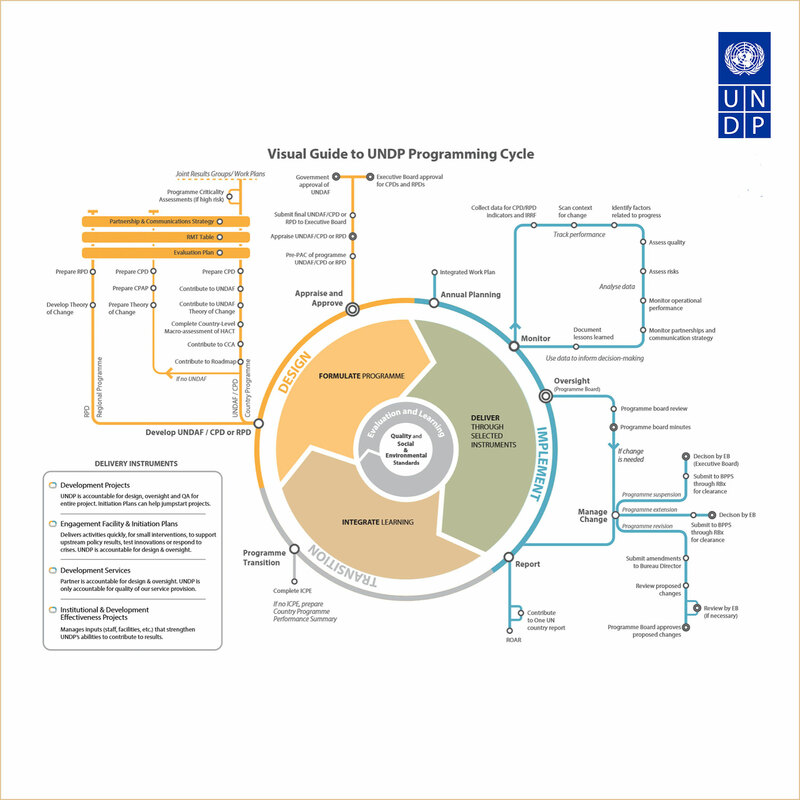 When UNDP decided to overhaul its prescriptive content for programming, we wanted to present our requirements in an intuitive visual format to complement our written policies and procedures. We hired James as our Information Architect and Visual Designer for the project and couldn’t have been happier with his work. He took the time to thoroughly understand how we work and pitched several concepts he thought would be effective based on cutting edge research on how people learn. His designs were clean and effective and were received very well by staff across the organization. He presented full mock-ups quickly and responded well to requests for corrections with fast turn-around times. James was a pleasure to work with and provided exactly what we needed with a strong sense of customer orientation. I would not hesitate to recommend James for similar work in the future.